Main power on/off switch, as used on most makes and models of pinball and video games- old and new. 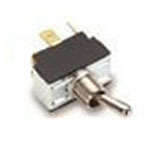 Heavy-duty double-pole, single-throw toggle switch rated at 15 amps @ 125 volts AC, 10 amps @ 240 volts AC. 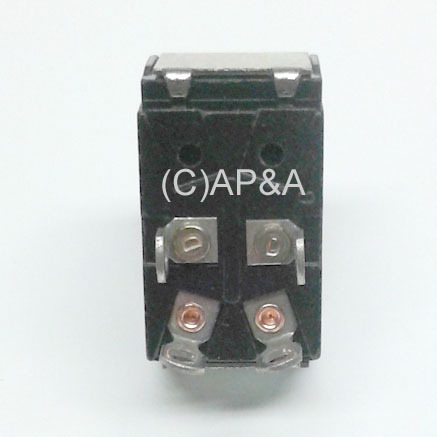 Can be used to replace similar switches that use 2 (single pole), or 4 (double pole) wires. Features 4 solder lugs to connect wires. Fits 1/2-inch diameter mounting hole and includes mounting nut. Replaces Bally # E-108-28, E-108-139, Gottlieb # 23799, Midway # A945-00062-0000, Williams # 5640-10932-00, and similar others.